We are looking for our first guest for the podcast version of The Never Late Show. 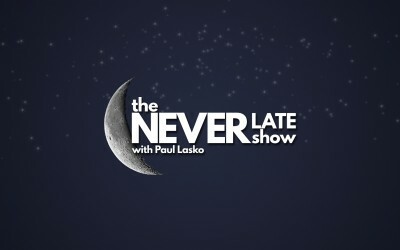 The Never Late Show is a late-night-style Internet talk show. Inspired by the many late night talk show hosts before him, Paul takes late night back to its roots. There will be gut-wrenching laughs, tough questions, hilarious sketches, and amazing talent unlike anything you have seen. Get ready for the new era of late night. Coming in podcast form soon! 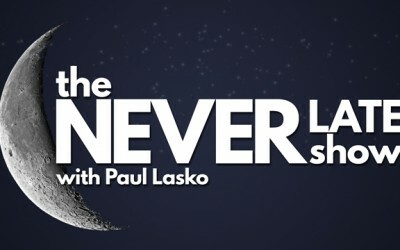 Follow @NEVERLATESHOW and @PAULLASKO on Twitter! The Never Late Show will be available in podcast on Anchor.fm and anywhere else podcasts can be heard Summer 2018!